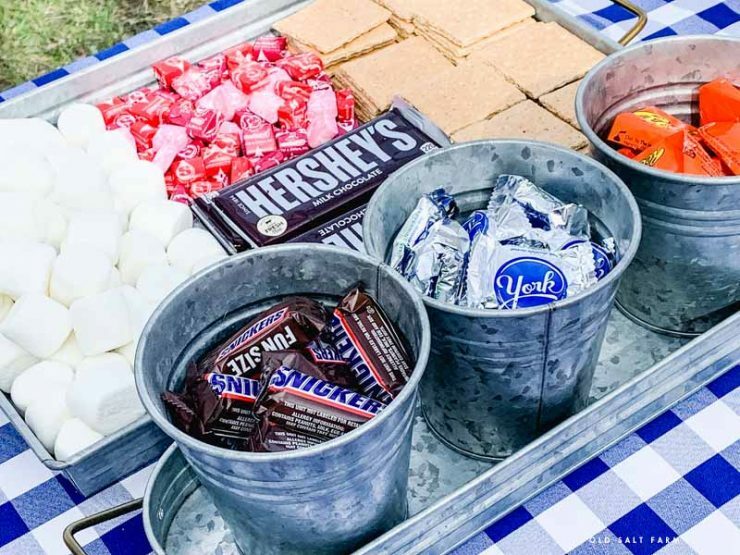 Host a backyard s’mores party with friends and family…here are my favorite tips, tricks, and s’mores recipes! 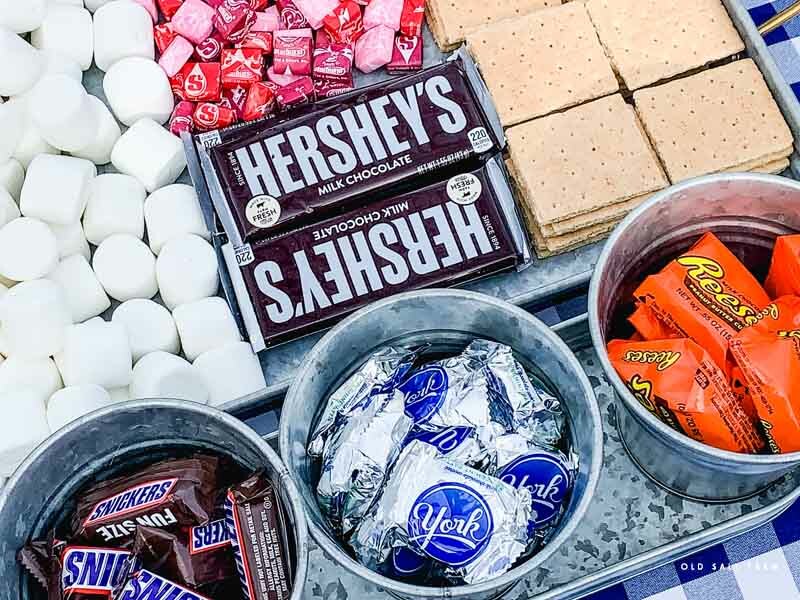 One of our absolute favorite things to do during the summer is to host a backyard s’mores party. It just speaks summertime! 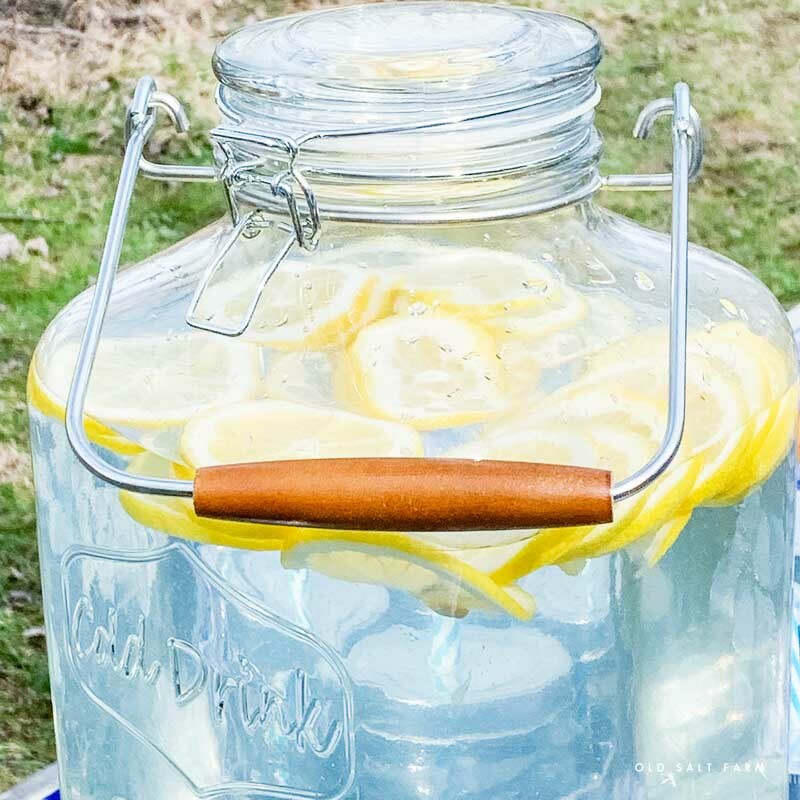 The best part is that it’s so easy to do, and you don’t need to have a lot of prep time to make it super cute and fun. You can fancy things up if you’re doing them for a wedding or something like that, but otherwise, simplicity is part of the fun. Just a few minutes to set the table and start the fire, and you’re ready to toast those marshmallows! 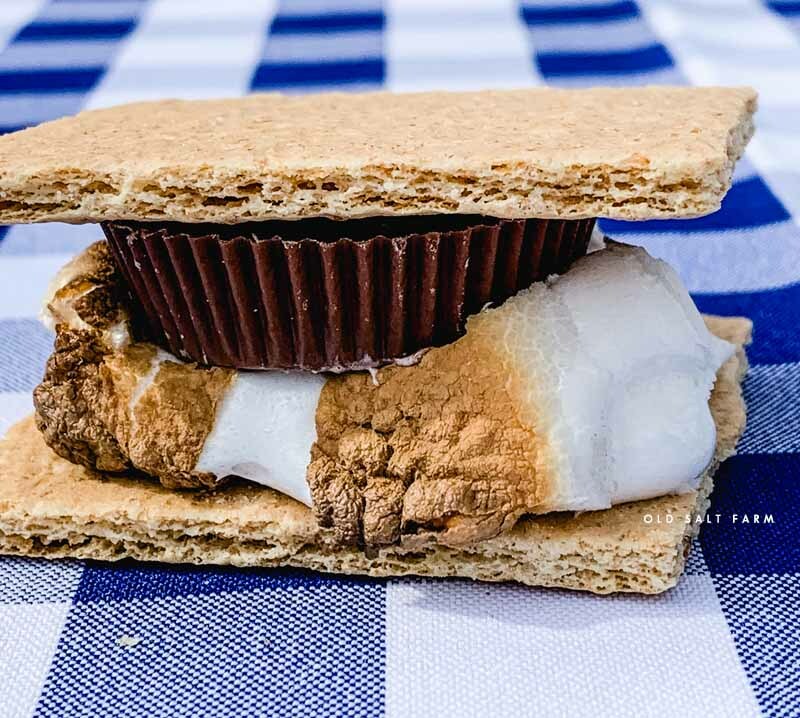 This past week we had some summer-like weather (or maybe it just felt that way after a long, cold winter), and we had our first campfire and s’mores of the season. The grass isn’t green yet, and there are no leaves on the trees, but the sun was shining, it was 65 degrees, and the air smelled like spring. It was wonderful! Because it’s such a summer (spring and fall too…) ritual for us, I thought I’d share some of my favorite tips, tricks and s’mores recipes. A huge thanks to Better Homes & Gardens at Walmart for sponsoring this post. As always, all opinions are 100% mine. 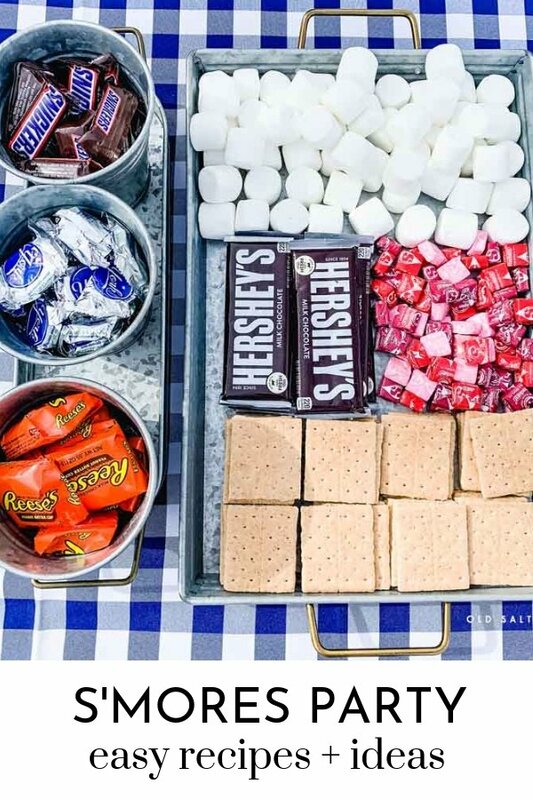 Host a Backyard S’mores Party! I love to keep on hand serving dishes that are versatile and can be used for lots of different occasions. My favorite are galvanized–they’re perfect for summer, but all through the year as well. They make it so easy, and since you don’t have to prepare any food for s’mores, it’s literally just setting things out on the table. 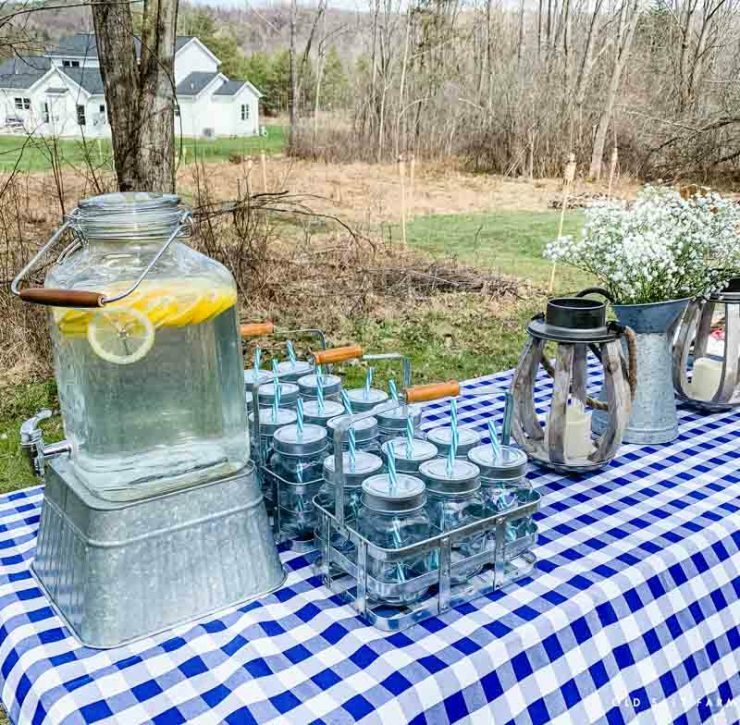 I was so so excited to find these darling mason jar drink sets by Better Homes & Gardens. Talk about adorable! 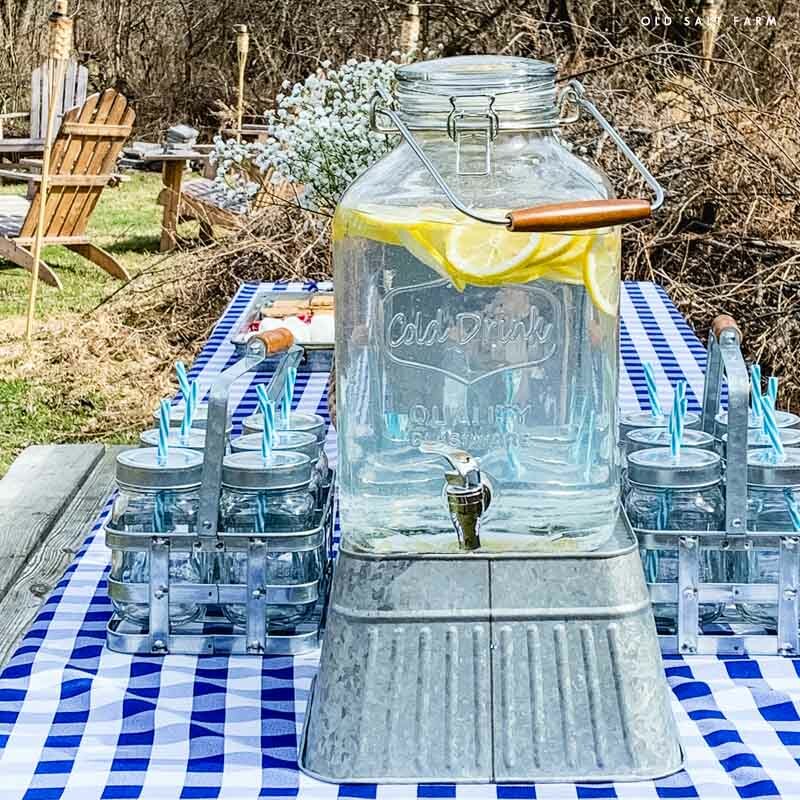 They come in a 7-piece set that includes 6 jars with lids and straws plus the galvanized caddy. I found them online, but you can only purchase them in-store, so I had my husband stop by and get them for me on the way home from work, since it’s closer for him. He said that he had several people stop in the store and checkout line to ask about them! I bought three sets, and I just may go back for more. They’re seriously so cute, I know I’ll use them all through the summer for our family and for entertaining. And could you just die over that square beverage dispenser? They’re reasonably priced, and just so cute. I had to get two of them! I also got the dispenser stand, which is multi-purpose. You can use it as a stand for the dispenser, but turn it the other way and it’s a darling bowl for serving. 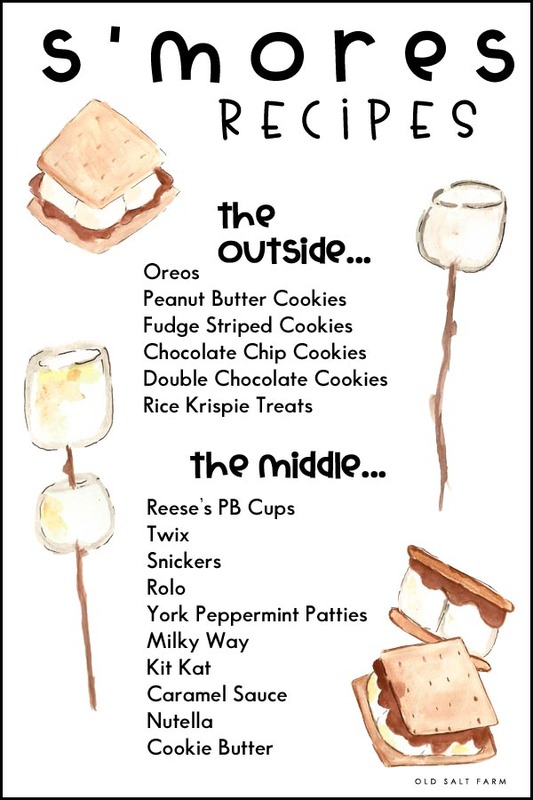 There can be a lot of different components to s’mores, so it’s nice to have a bunch of options for serving. 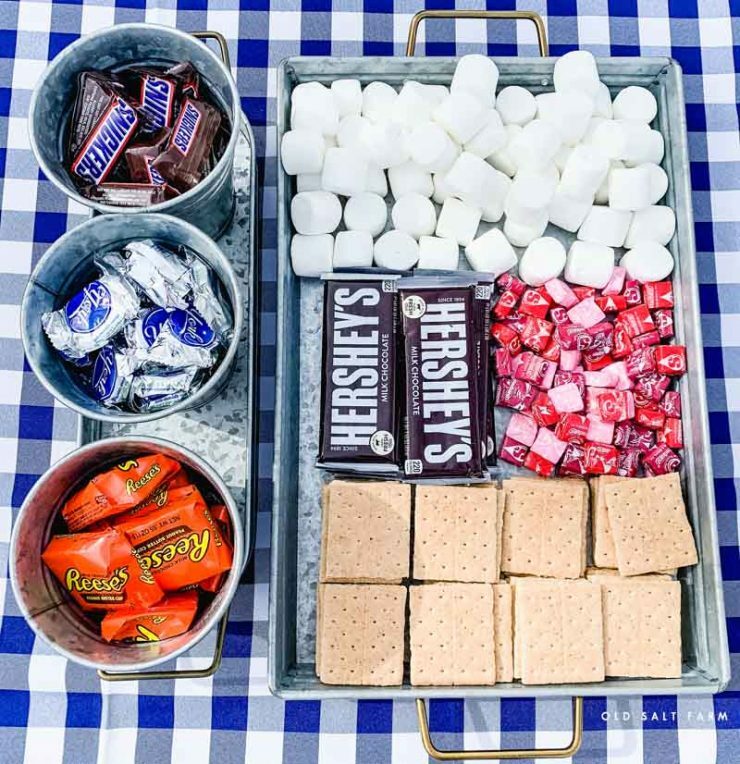 I like using a large tray for graham crackers, chocolate, and marshmallows. I’ve also used a tiered tray, and I love how that looks too, but this large single tray makes it easy to see everything at the same time. The gold handles are the perfect detail! The 4-piece serve caddy is a favorite of mine. Often I’ll use it for tableware–forks, knives, spoons–but it was exactly what I needed to display all the candy bars for our s’mores! And as a side note, sometimes I unwrap the chocolate, and sometimes I don’t. If there are a lot of kids, which there usually are at our house (we have six, plus any families that we have invited over), I find that the chocolate doesn’t disappear quite as quickly when they have to be unwrapped! And it means less little fingers touching the chocolate itself. 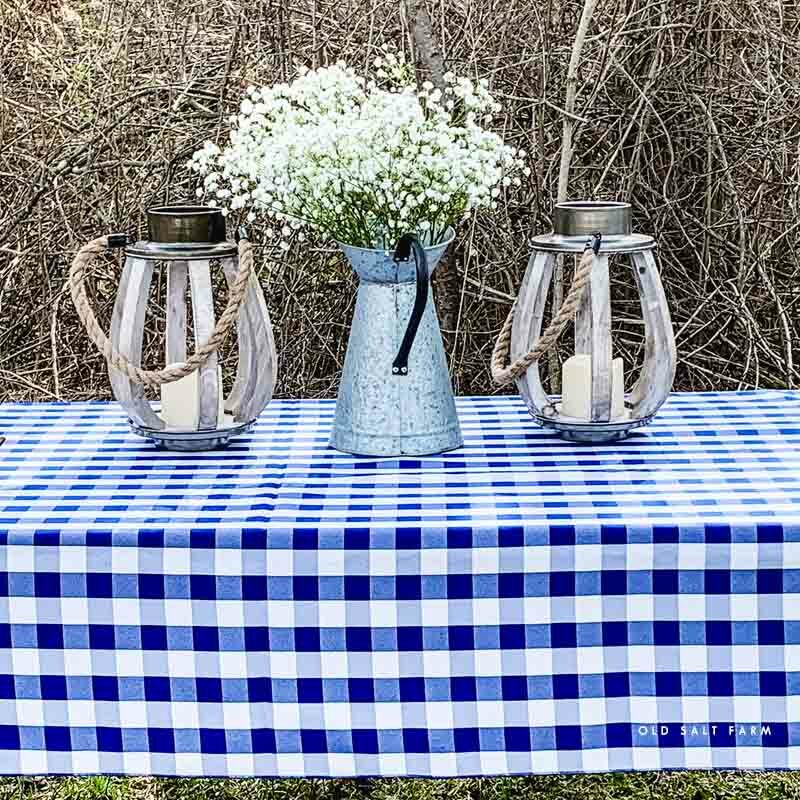 I like to keep it simple, and this time I went with a gingham tablecloth and pitcher of white flowers. When there are actually leaves on the trees, I like to use greenery in the pitchers, and even down the middle of the table. If we have wildflowers growing, I’ll pick a few and use those in a mason jar. 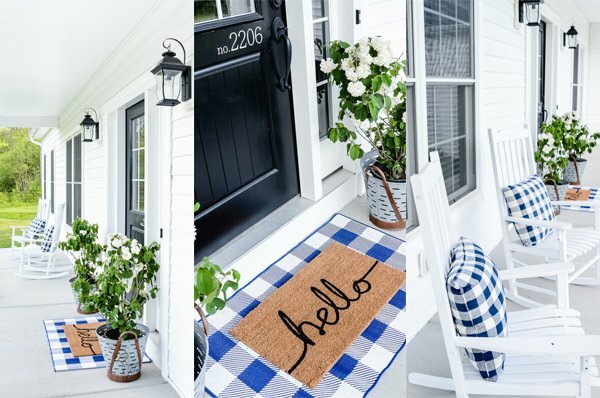 So easy, so homey, and so summer! I also found these super cute wood lanterns, and fell in love immediately. They even have a battery-operated candle inside, which makes them perfect for summer nights. All the fixings for S’mores! The most important part, right? 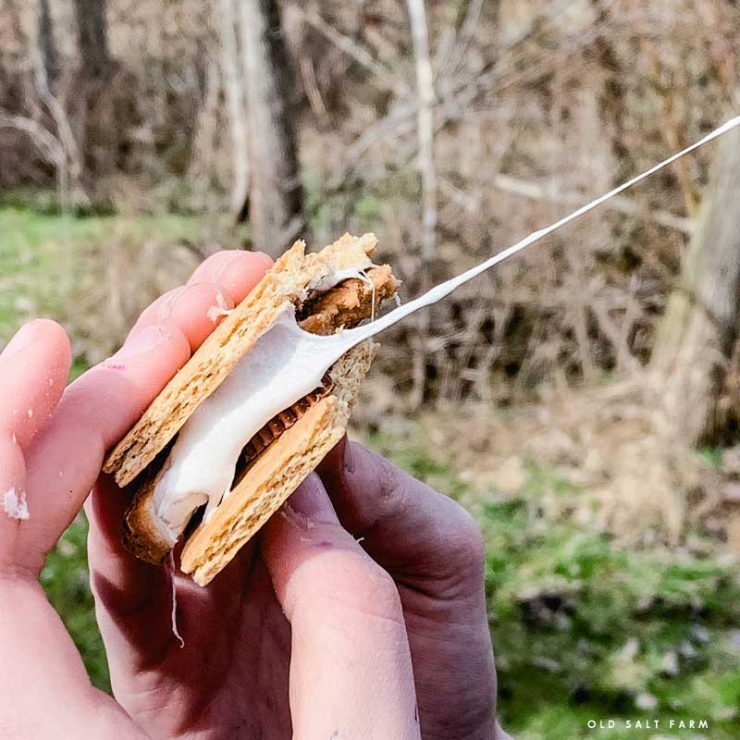 We always have the classic ingredients—graham crackers, marshmallows and Hershey chocolate bars–but trying new ways to enjoy s’mores is half the fun! So in addition to the classic graham crackers and chocolate, try substituting some of these instead. Any combination you like! *The thicker candy bars like Snickers and Milky Way may need to be sliced in half lengthwise if you want a thinner s’more. If so, try freezing them for a little bit before cutting, it makes them easier to slice. Or you can eat the whole thing like we do! Don’t forget the Starburst! These are meant to be separate, but whenever we have s’mores, we always get a bag of Starburst to toast too. My kid LOVE them. Unwrap them, put them on a roasting stick, then toast them over the fire until they get warm and soft. Beware…they’re addicting! We have a fire pit in the ground in our backyard, so that’s where we make all of our S’mores. However, there are definitely other options if you need them. Any way you make them or eat them, they’re absolute perfection. And they’re even better with family and friends. 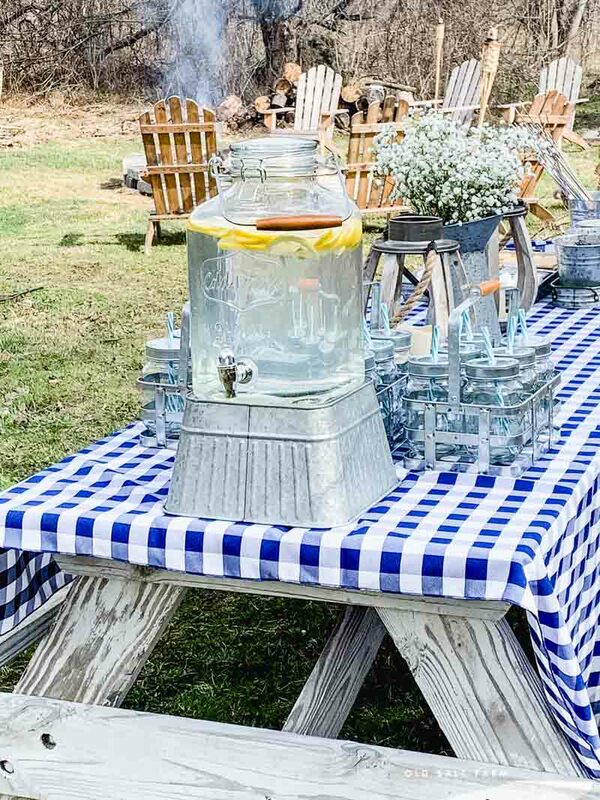 Click here to get the latest farmhouse style, DIY home projects and decor, holiday ideas, organization, recipes, and more! 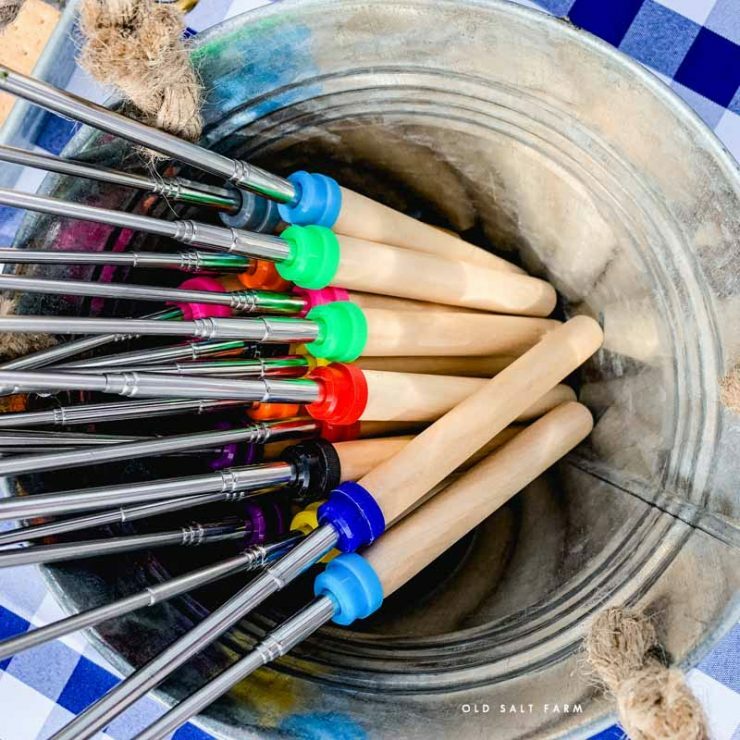 Make Your Own Tetherball Set…for half the cost! What a darling set up!! 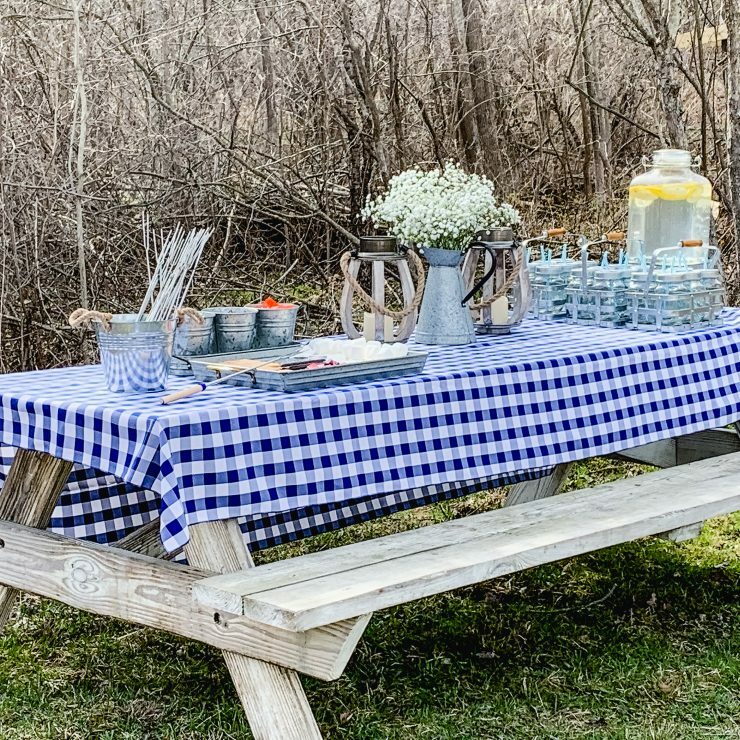 Would you mind sharing where you found the gingham tablecloth? I love weekend campfires! So so fun!! Goin to have to try this once the weather warms up!! Thanks for sharing!! Love the different chocolate ideas! !